Call of Duty is coming back to mobile, and this time around, it’s featuring the best of Call of Duty’s multiplayer from over the years. 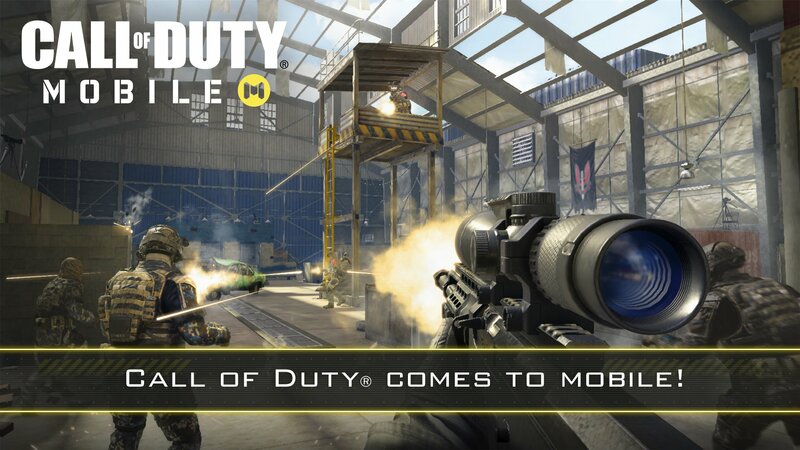 A new free-to-play mobile game called Call of Duty: Mobile was announced for Android and iOS on Monday, bringing Activision and Tencent together to develop the game. In a press release obtained by GameDaily.biz, Activision announced Call of Duty: Mobile will star "maps, modes, weapons, and characters from across the Call of Duty franchise," including favorites both Infinity Ward's Modern Warfare series and Treyarch's Black Ops franchise. Team Deathmatch, Search and Destroy, and Free-For-All game modes are currently planned for the mobile game, along with such iconic maps as Nuketown, Crash, and Hijacked. Alongside multiplayer combat, Call of Duty: Mobile will have "more modes of play to be announced soon,” according to Activision’s press release. Tencent's Timi studio will handle development, and the game will be built in the Unity engine. Interested players can sign up for Call of Duty: Mobile's pre-registration to keep up with new updates and enter a public beta coming to “select regions” this summer. The final game will release in North America, South America, and Europe, among other areas. Meanwhile, Tencent’s senior vice president Steven Ma stressed in the press release that the company's team "couldn't be happier" working alongside Activision on the upcoming Call of Duty title. “With our expertise creating games custom-built for mobile players, we’re excited to deliver a new, feature-packed Call of Duty experience that all types of fans will enjoy,” Ma explained. It’s no surprise that Activision wants to move into the core mobile gaming market. By February 2019, Fortnite's iOS app earned $500 million in revenue in less than a year, according to GamesIndustry.biz. SensorTower reports that the iOS app earned $31 this past February alone. Meanwhile, Tencent's mobile rendition of PlayerUnknown's Battlegrounds, PUBG Mobile, landed $32.5 million in total revenue across iOS and Android in November 2018, GamesBeat notes. By the holiday season, the game earned $158 million in total revenue between both Android and iOS. Granted, Call of Duty: Mobile doesn’t feature a battle royale mode as of yet. But Call of Duty remains one of the most popular franchises in gaming. It’s a safe bet for scoring revenue, downloads, and brand visibility before this year’s Call of Duty installment.